﻿We know that good oral health is important for one's well-being and quality dental care is essential to maintain it. We believe in prevention and want to pass this on to our patients. We believe in great smiles and would love all of our patients to keep their healthy smile for life. We also believe that dental care should be accessible to everyone, therefore we charge fair and affordable fees. On top of this, our friendly and caring dentists, and the team, are experienced in delivering quality dental care in the most comfortable way possible. 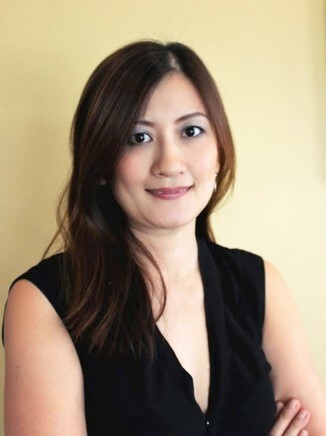 Dr Linny Angker (Principal Dentist) obtained her BDS degree in 1995 and has extensive experience practising in Australia and New Zealand. Dr Linny completed her Masters degree from the University of Sydney (2003) and PhD degree from the University of Otago, NZ (2008). Dr Linny strongly believes in prevention and is a Certified Provider for Invisalign - clear braces. She is a gentle, caring dentist and famous with patients for her painless injections. Dr Linny loves reading and music and often can't help not sing along to her favourite songs - even in the surgery. She and her family are loyal Mitchelton locals. Dr Pablo Regueiro (Associate Dentist) gained his Bachelor of Dentistry in 1999. He has 14 years of experience in both the Public and Private Sectors internationally. Dr Pablo is also a Lecturer at the University of Queensland, School of Dentistry in the Oral Surgery Department. Dr Pablo has extensive experience with Wisdom Teeth Removal, mostly gained during his previous employment in the New Zealand Defence Force. Dr Pablo is our dedicated wisdom teeth and difficult extractions dentist and is available only via appointment. Dr Pablo's other interests include Squash, Gym, Latin Dancing, and playing the Ukulele. Dr. Antonia Lam (Associate Dentist) graduated from the University of Queensland with honours in 2015. She has experience in Brisbane’s private and public sectors, and has also worked full time in the lovely regional Queensland community of Roma. Being enthusiastic about promoting oral health to young ones, Antonia has frequently volunteered to visit local child care centres. She endeavours to deliver high standards of care and likes to keep up with the latest technologies through professional development courses. Outside work she likes cooking, working out, playing the piano and photography.